The word color invokes a clear meaning to most people, but in a particle physics context, it can be misleading. For particle physicists, the term color is synonymous to the kind of charge that causes the strong nuclear force. If you hang around particle physicists for a while, especially ones working at accelerators that utilize proton beams like the Tevatron or LHC, you’ll hear them talking about color. 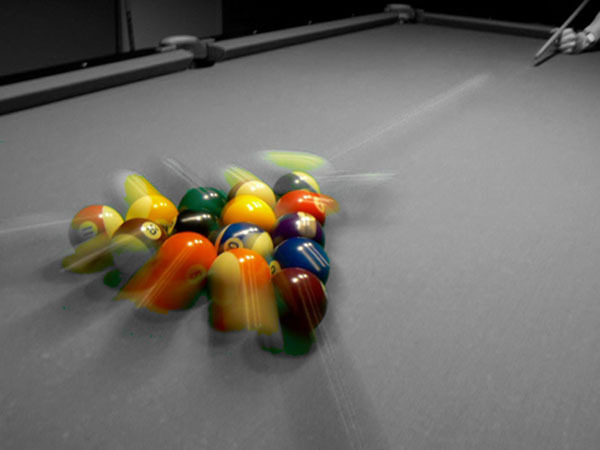 The first time you hear this, you might envision little blue, green, red, yellow and orange subatomic particles flying around, as in an excellent billiard break. But color has a very different meaning in particle physics. For particle physicists, the term color denotes the charge that causes the strong nuclear force. This is analogous to the more familiar charges that cause the electric force, called positive and negative. When you add together a positive and a negative charge, you get zero charge, or something electrically neutral. For the strong force, there are not two but three charges. 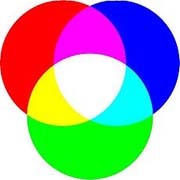 Scientists coined the term color because they needed three of something that could be added together to get zero. 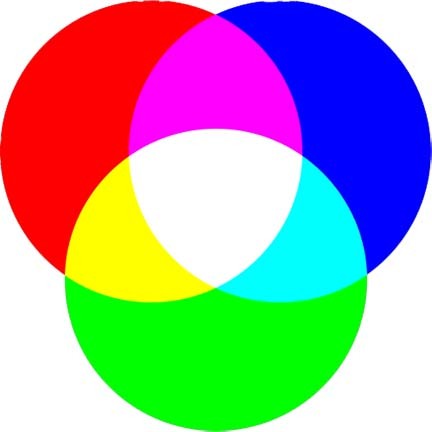 Since red, green, blue can be added to make white, or something chromatically neutral, “color” fit the bill. They even called the three strong nuclear charges red, blue and green. In 1964, the idea of quarks was proposed to explain the myriad particles that had been discovered in the 1940s and 1950s. Quarks are members of a class of particles called fermions. You could combine three quarks to make a proton, a neutron and many other particles. One possibility was a particle containing three up quarks. Such a particle had been observed, called the Δ++ (delta double-plus). The problem is that a cardinal rule of fermions forbids two of the same quarks existing in the same place at the same time in exactly the same configuration, and in order to account for the observed properties of the Δ++, quark theory said that it had to contain two identical up quarks. This problem could have led to the quark model being discarded, but the model otherwise worked rather well. To save the quark model, Oscar Greenberg proposed that each of the three quarks had a different color, and this meant that the three quarks weren’t identical after all. Click here to read the expanded column on the meaning of color. This is a nice demonstration of how you get white if you combine red, blue and green. You can try this yourself at home, or watch it demonstrated in a video online.